Dover Youth to Youth is very fortunate to be supported by a variety of community businesses and organizations. Their support is critical to the success of the program. We have to thank the for being the host agency and fiscal agent for Dover Youth to Youth since its inception in 1992. Dover Youth to Youth is a part of the DPD’s Community Outreach Bureau. We thank the Dover Police Charities, Inc. for their ongoing financial support of our many prevention initiatives. 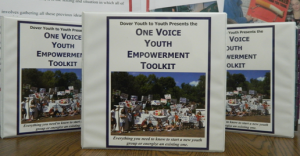 The Dover Coalition for Youth has extended years of help and support toward Y2Y – including collaboration and technical assistance on countless projects & presentations, the purchase of supplies and materials for presentations, and providing the funding for this web site. 98.7 The Bay is a generous sponsor and publicize our Santa’s Castle fundraiser and help us spread our message by inviting us to be on talk shows and the morning show, and playing our radio PSA’s. WTSN AM 1270 is a generous sponsor and publicize our Santa’s Castle fundraiser and help us spread our message by inviting us to be on talk shows and the morning show, and playing our radio PSA’s. Blue Dolphin provided a wide range of Y2Y screen printed clothing that helps to spread our message. Cocheco Printworks helps in printing our annual Y2Y yearbook and providing other print material. Dover Bowl allows us to bring large groups of students there during our summer program and for other events. With 70+ members in our group – it is hard to find places where all of Y2Y can take part in the same activity. The Dover Lodge of Elks generously offers the use of their hall for our annual awards banquet and support throughout the year of our programs and related programs such as DARE. This branding & interactive strategy agency designed and developed this website. They are extremely talented web designers and marketers, and did an amazing job bringing Y2Y alive on the web. Kelley’s Row assists with feeding our students at various events over the years. The Moses Paul Lodge hosts and sponsors the annual breakfast fundraiser for Youth to Youth and DARE. 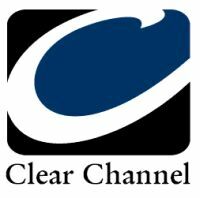 These stations produce all of our PSAs and play them monthly. They help to spread our message by hosting us on their morning and news shows. Spires offers production and technical assistance with the video public service announcements that Youth to Youth created. These networks play our radio public service announcements.